Our Original House Dressing is the secret ingredient that has kept our regulars coming back year after year. We often see William and Mary alumni returning for their favorite snack: bread ends and House Dressing. 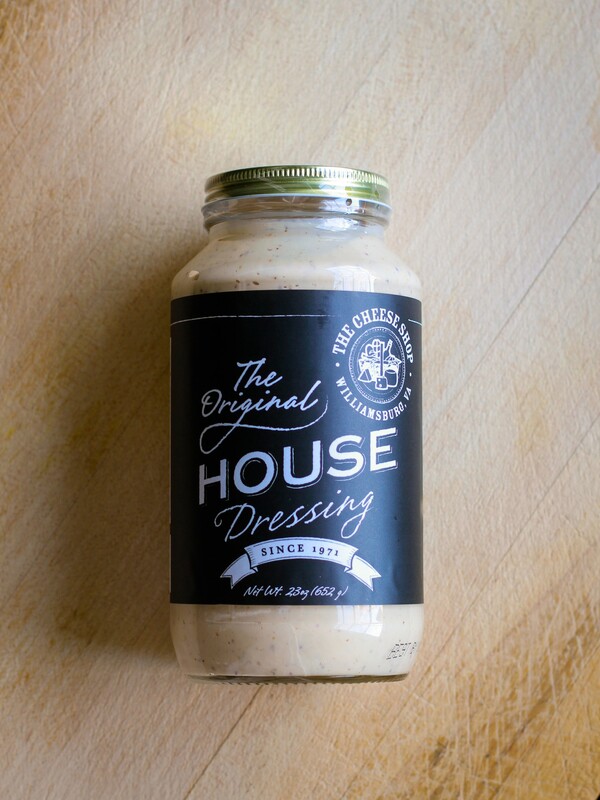 And finally, after over 40 years, our Original House Dressing is now available in 23oz jars. Take the “secret” of Cheese Shop sandwich’s home with you to enjoy whenever and wherever you’d like. We’ll also ship it anywhere.